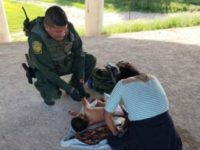 Border Patrol agents rescued an unresponsive toddler being carried by his mother who illegally crossed the border from Mexico into South Texas. The child was airlifted to a hospital in San Antonio due to their condition. 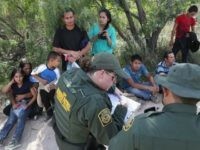 Border Patrol agents in the Rio Grande Valley Sector apprehended more than 2,000 migrants during a three-day period at a tiny area known for illegal border crossing. The groups consisted mainly of migrant families and unaccompanied children from Central America.